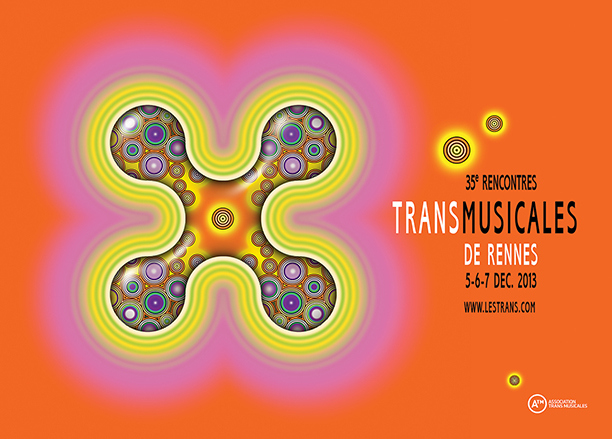 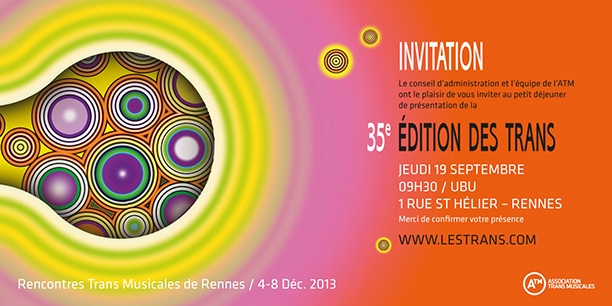 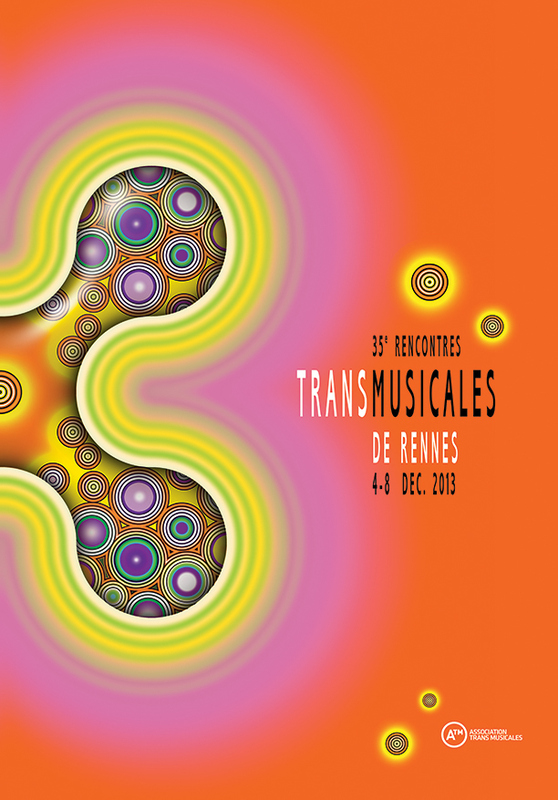 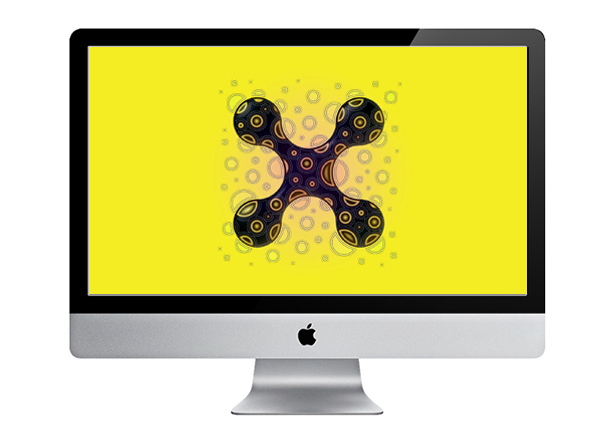 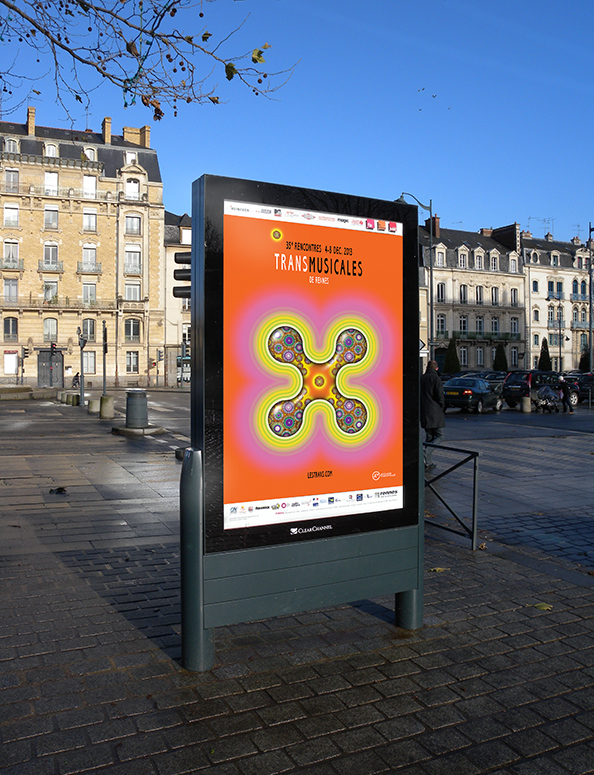 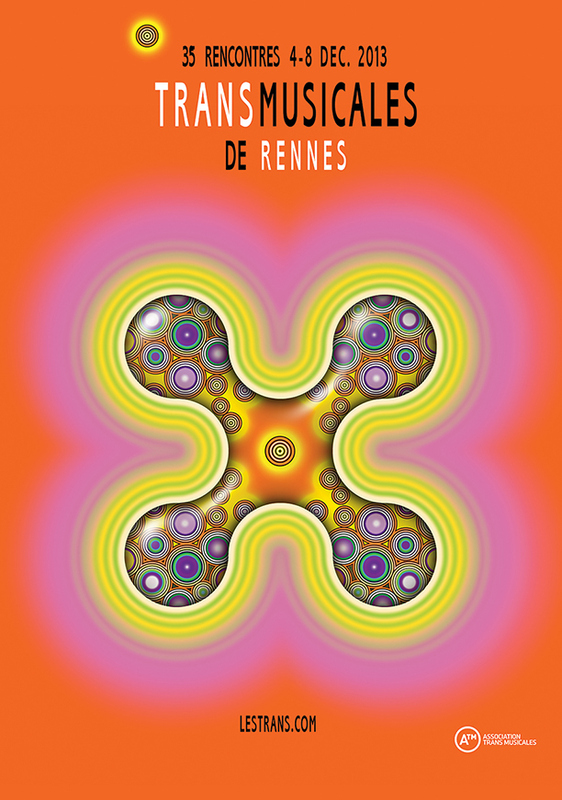 Branding for the 35th 'Transmusicales' Music Festival in Rennes, France. 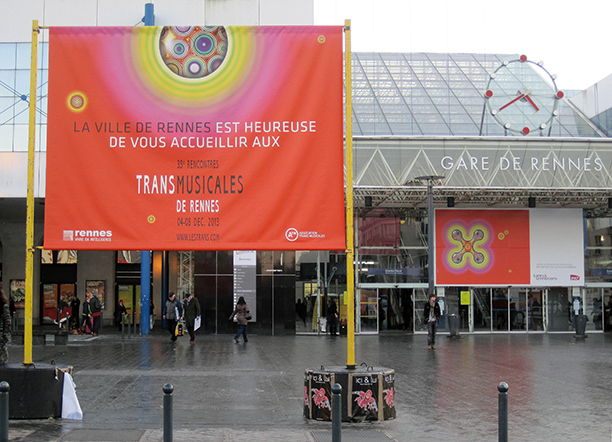 Landscape format Poster - also used as Postcards and press-pack, all in pro. 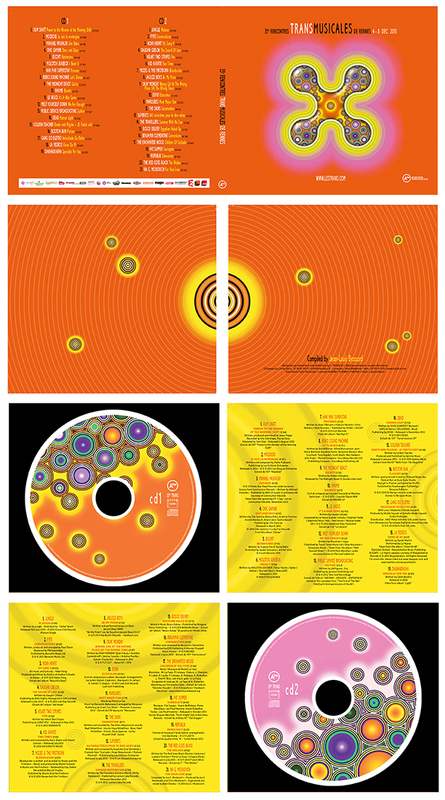 Double CD Digipack, 8 panel layout - Top, 1: back & front, 2: centre spread, 3: CD1 spread, 4: CD2 spread.